During 2015, with financial support from Arts Council Ireland, I composed an opera based on the life of the Irish revolutionary Roger Casement (1864-1916). The opera tells the Faustian story of Casement’s conversion from British imperialist to Irish revolutionary during an official mission to the Belgian Congo in 1903. What initially seems like a Conradian story of a colonial officer losing his soul in the Congo becomes something more nuanced as the texture of the narrative is disrupted by a mysterious missionary and Casement’s Congolese servant. Counterpointed with this colonial setting of the Congo are three scenes set in 1916, when Casement fatefully returned to Ireland to assist in the Easter Rising. This older Casement, played by a different singer, tries to make sense of the pact he made 13 years ago in the Congo, which leads inexorably to his own great tragedy. Infused with Gothic sensibilities, the opera delves into Casement’s dark dreams and draws on the atmosphere of great operas such as Wozzeck and The Turn of the Screw. It is an opera about the impossibility of meaning in history. It also forms a post-colonial critique of Casement’s work in the Congo and how it is remembered today. Over the coming years, I will be trying to bring the opera forward to a professional production. Updates and information about open workshops and news will be available on this page. 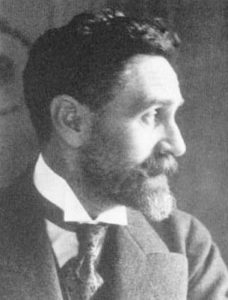 With support from the Arts Council of Ireland, I will be spending 2015 developing and writing the libretto and score for a brand new opera based on the life of Irish revolutionary Roger Casement. A deeply contentious figure in Irish history, Casement will make a fascinating subject for a dark and probing opera. For some time now, I have been slowly working toward the creation of such an opera, and with the centenary of the Easter Rising approaching, now is an excellent time to look back at Casement's place in the story of revolutionary Ireland. Late last year I wrote a scene for an opera I've been wanting to write for a long time. The opera is going to be based on the life of Roger Casement and it's something I initially decided to write an opera about around 5 years ago. For some reason it's been a struggle trying to get much written, but thus far I've written an overture, Banna Strand, and an interlude, Matadi, and this scene. Having just completed the dissertation element for my MA in International Relations - 16,000 words written, hundreds of thousands read, 4 months of research, many new wrinkles and a further receded hairline - which challenged Giorgio Agamben's theory of sovereign power and bare life by suggesting that we can theorise the act of self-immolation in Tibet as a form of resistance to sovereign power, I have gladly stepped back into the world of musical composition. 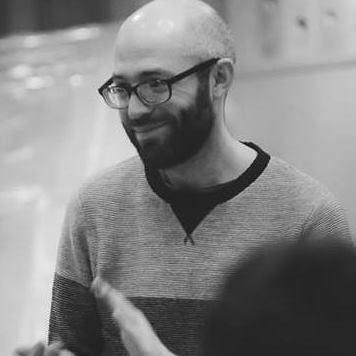 A fortnight ago I was in Glasgow, writing and performing the music for a new play by my old school friend Michael John O'Neill. This week I'm working on a commission for the Arts Council NI, a scene for an opera which I've been wanting to write for the past five years.